In the automobile world, one has to accept the fact that there's something always newer and better around the corner. It might even roll out just as you take delivery of your dream car. Case in point being the Range Rover Evoque. A reader wrote to us asking if he should get the new model, or if an even newer one was around the corner. We asked him to go for it and not wait as the Evoque was just updated, with more standard features and a massive price cut too. I've always believed that if you want something like a new car, just go ahead and get it or you will spend your entire life worrying about something newer that is about to come out. Well, that was only until now. Little did I know that there was a newer Evoque around the corner. Within six months since the last update, there's another one. We have to admit it, the Evoque is one the most striking vehicles out on the road today. It's an attention grabber and that's the reason the majority of its buyers fell in love with it. There's no other car that looks like it, despite being around for half a decade. 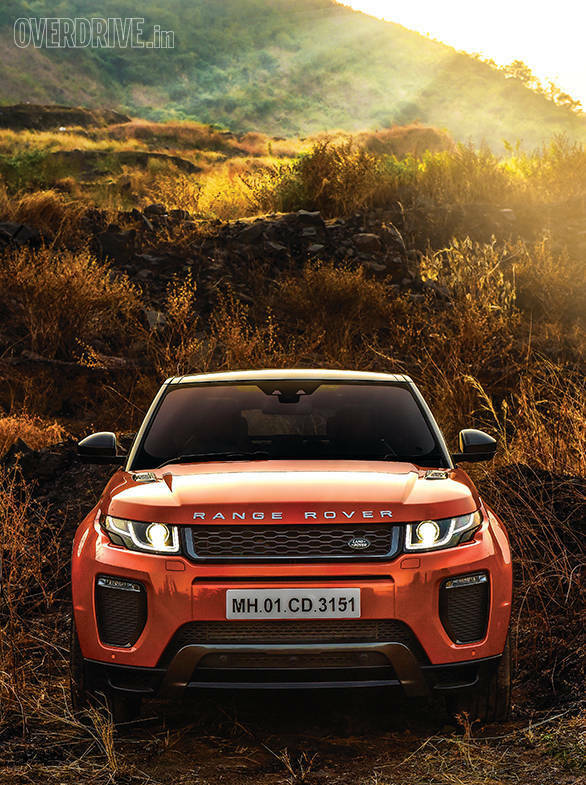 The challenge faced by the Land Rover designers was to evolve the Evoque design without diluting the distinctive character. So instead of a significant design change they decided to refine it. This way it continues to stand out from the rest and till get present-day features and style. 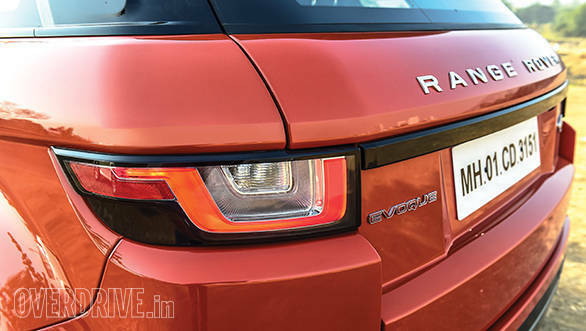 The front end for instance gets an all-new bumper and features large air intakes that look like they belong to an Evoque SVR (Range Rover special ops are actually considering making one). The headlamps feature the same design but get all-new DRLs inside that are now rectangular and not circular. As a result, the face is a lot meaner. Lighting now comes in the form of adaptive LEDs (first time ever in a Jaguar Land Rover product). The bonnet vents that were only available in the three-door version now make it to the five-door. The sides though are almost the same except for the new wheels and lower cladding that is now body coloured. Move to the rear and you'll notice sportier looking bumpers and LED tail lamps that also get the new rectangular light pattern. 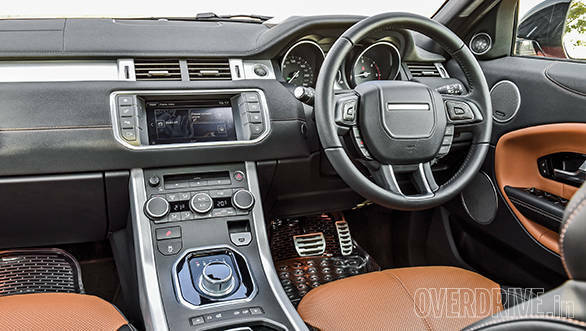 Inside, the basic design remains the same, which isn't a bad thing because the Evoque cabin is still a great place to be in. The design goes well with the exterior and the quality of materials used is top notch. Soft touch materials have been used too. Other changes include all-new instrument cluster that features a crisper centre display that boasts higher resolution and new animation. 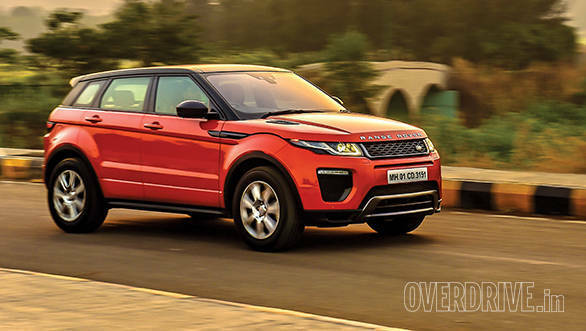 While the 2016 Evoque internationally gets the 2.0-litre engine from the new Ingenium family, the India spec vehicle continues to use the older 2.2-litre motor. 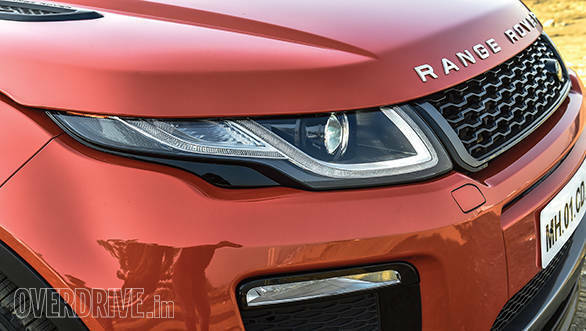 We aren't sure when the new engine will make it to India but it will be available eventually in various Jaguar Land Rover vehicles, including the soon to be launched Jaguar XE. The older generation engine that has been carried over recently got updated and comes mated to the new 9-speed automatic transmission. This makes it much better to drive in town and on the highway. The shifts are smooth and seamless while ninth gear comes up only while cruising. The box could have been quicker to shift especially when you want to make a sudden overtake. 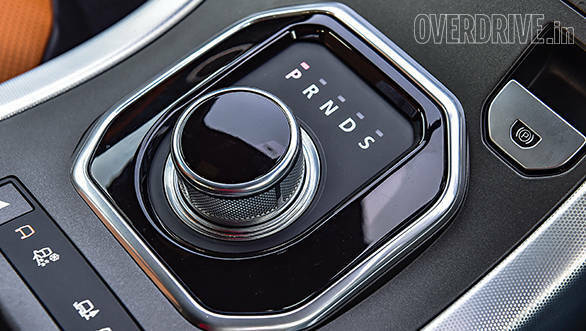 Manual shifting using the paddles however come through quickly. The new transmission results in better performance and efficiency too. 100kmph comes up in 8.9s while overall efficiency is 13.8kmpl. 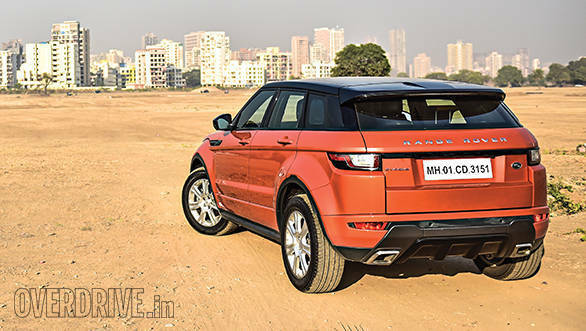 The Evoque isn't the most comfortable SUV around, neither in terms of interior space nor ride quality. The suspension is set up to be firm but absorptive which results in good ride quality but bigger potholes are not fully absorbed. On a reasonably smooth road, it rides as you'd expect from a luxury SUV. Naturally it is quite capable off-road thanks to Land Rover's Terrain Response System but it also proves to be quite the happy handler. The compact dimensions, taut suspension and well weighted steering make it good fun on a winding road. So there you have it, the new Evoque looks a lot better and offers more features for almost the same price as before. The all-new motor should have made it too but that's probably saved for the next update. Should you wait for it then? You could. Or continue worrying.